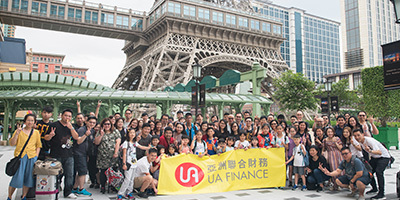 United Asia Finance Limited (“UAF”), formerly named as Japan Finance (International) Limited which was founded in 1991, is a member company of Sun Hung Kai & Co. Limited, a Hong Kong listed company with stock code no. 86, well-known for its well-diversified financial services. UAF is strongly supported by other shareholders with solid financial background including ORIX Corporation and ITOCHU Corporation. Led by Mr Akihiro Nagahara, Managing Director and CEO of UAF, the acknowledged expert in consumer financing industry with over 40 years of experience. With years of solid experience in consumer financing, UAF has emerged as the leader in the industry. 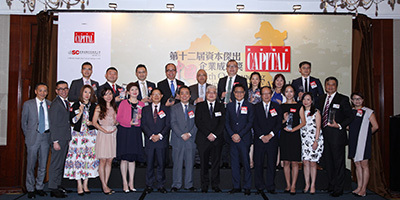 Nowadays, there are 49 branches located in various prime districts in Hong Kong. This equips UAF to realize its pledge to offer you the unparalleled convenience, top-notch services and the right solutions that make you tick! 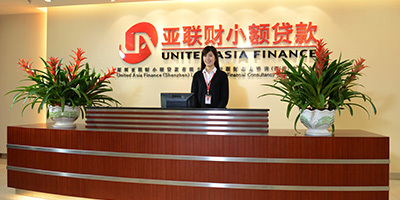 In 2007, UAF has set up a venture company for the small loan business in Shenzhen named “United Asia Finance (Shenzhen) Limited” (“UAF SZ”). With target on the general customers as well as the small to medium business sectors, “UAF SZ” has brought sparkling effect to the market of loan business in Mainland China. Up to now, the network of UAF SZ has extended to 15 cities of Mainland China covering Shenzhen, Shenyang, Chongqing, Tianjin, Chengdu, Yunnan (Kunming), Dalian, Beijing, Wuhan, Shanghai, Fuzhou, Harbin, Nanning, Qingdao and Jinan. United Asia Finance aims to lead by offering exciting propositions focused on core consumer needs in the areas of financial management. To establish United Asia Finance as a brilliant integrated financial institution through establishing trustful financial partner relationship by understanding, caring and supporting the financial needs of all customers.